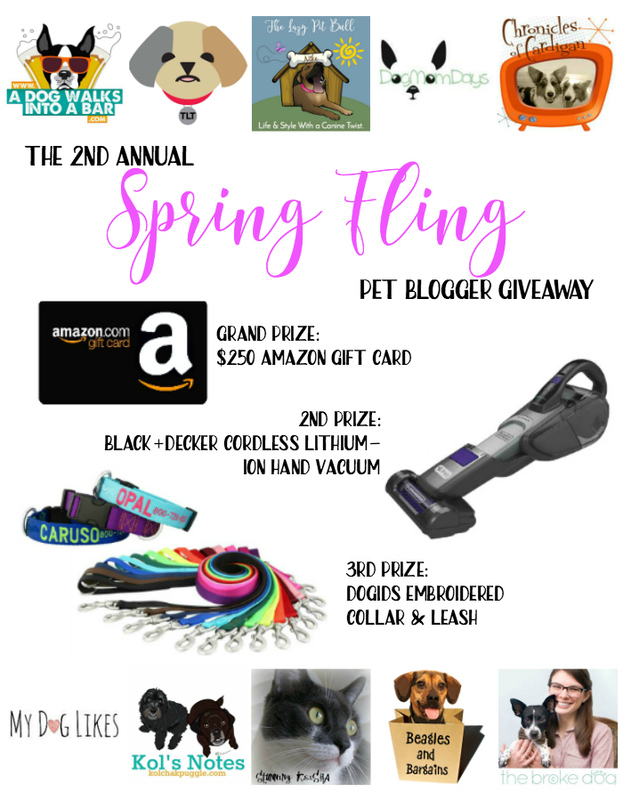 2017 Spring Fling Pet Blogger Giveaway! Happy Spring from Henry! Photo by Pets by Petra. The best part about this giveaway? It’s great for both dog and cat owners. Tell your kitty-loving pals! Visit and enter on each participating blog to increase your chances of winning! Enter on each participating blog by next Tuesday night, April 25, 2017 at 11:59pm EST! One “finalist” will be randomly selected from each of the 10 participating blogs. All of the finalists’ names will go into a drawing, and 3 winners will be randomly selected to receive the prizes listed above. The winners will be announced on The Lazy Pit Bull Facebook page next Wednesday, April 26. Good luck! I would buy toys and a new dog bed. Amazon is definitely great for both of those! There’s so many things I love to do with my dogs. I love when it’s the spring time and the weather is nice in the walk out longer, trips to the dog park increases as well as all the outdoor festivals I can bring the pooches to. If I want to Amazon.com gift card I would use it to buy dog food. I would buy food and a new cover for the dog bed. I have a long wish list on Amazon, including a list just for things for my furbabies. If I’m lucky enough to win the gift card, I’d likely get a couple of bags of dog food and then stock up on things like dental chews and maybe something special for my cats, too. a fancy new bed and lots of treats! Right now my next planned purchase for my cat is a soft-shell carrier to take her on an airplane! I would stock up on Nylabones and dog toys for my pack! I have been wanting to get my dogs an invisible fence so that they can run around the yard and not be on their leashes. I’d get some nosework trial gear from my wishlist, and knock some items off a rescue’s list. I would buy food, treats, supplies, and a nice new collar and leash. I’d buy a Petcube so we could play laser tag with our cat while at work! I would get some cute collars for my new puppy and also pet food and treats! Thank you for the chance! I would purchase a new pet bed and pet carrier for my pup. I would love to use it for my dog’s food and some great treats. I would buy my boy dog food and squeaky toys. I would buy a crate, harness, and toys for my new corgi puppy! omd! My girl’s so playful I’d have to purchase her some (more) toys. I’ve had my eye on a gorgeous bed for her too. It’s pricey, so the money would go there to keep her older bones comfortable. Jade and Copper have an ever growing Amazon wish list. Interactive dog toys, new collars, a crate they could both share are just a few of their many requests. I would buy my doggers a new pet bed…a really nice one! Pet Cam or a new scratcher! New leash/collar, alot of new toys, squeaky toys, ball and chew toys. A new harness for my youngest, and some toys and treats for both of them. I like to buy the heavier animal items with my Prime, like kitty litter and dog food. I would buy my dogs a nice new dog bed and lots of treats. If I won I would by dog food, treats, dental chews, flee and tick prevention and shampoo. I would get steps for my dog to get on my bed and a few toys. I would purchase a new bed for my dog. I’d buy dogfood and toys for daycare pups! I would buy my dogs some of their supplements they need to stay health & a bunch of treats! I would get her a new tie out so she doesn’t get tangled. I would buy dog chew toys and a cat tree. I need a new bed for the dogs. I’m getting a bed for my dog. I would buy a new vacuum cleaner! We have a new puppy coming home early June so I need to buy everything with it. I only have a dog bed so far. I really love the vacuum offered as a prize and it would/will be very handy, but I also need a full size vacuum as mine quit and I’m using a terrible hand-me-down. Any extra will go towards a new cat tree for my kitties! I would buy dog food, bully sticks and other chews, dog clothes and dog shampoo. I would buy Skylar an LED collar for nighttime adventures. I would buy her her favorite treats from amazon and also more durable dog toys. I would buy leashes/collars, treats, litter! Rain coat, new harness and leash and a new bed! I would get my kitty a new drinking fountain. I would also like to buy some clothes for me, and some household items. Maybe flea medication, if it’s a good deal. I would buy some toys, a new dog bed for my growing puppy and some treats. i would put the money towards a stroller for my oldest dog, or pet supplements or new clippers. We would either buy food and treats, or put the gift card toward a new camera to take even more pictures of the collies for the blog! I would get them some new costumes. With the gift card I’d premium pet food. Stuff for the dogs for sure! I would buy a bed and treats for my cat. I would purchase food, treats, a new bed and a harness. I’m thinking I’d probably sell it to my parents and put the money towards my savings for my next dog. A nice and fresh dog bed! Probably a new pet bed. I would love to a cat condo and some beds for my puppies. also a couple new toys! fingers are crossed. thanks for the chance!!!! I would buy her some new chew toys! I would spend it on food, treats and litter for the babies! We have 1 dog, 3 cats, 2 bunnies, a hamster and a baby chicken! We go through a lot of food and treats! I would buy more dog and cat food. I would buy an automatic litter box which I have had my eye on. Chews. So, so many chews! I have a few toys..for the dogs in my cart! I also need a new bed for them since they do not like to share the big one i just bought! Oh I would love to get our lab one of those automatic tennis ball throwers. He loves his tennis balls and would go nuts over one! I’d buy flea medication – it’s so pricey! If I won, I would buy dog food and a dog bed. We could use some new pet beds, and treats for the furbabies are ALWAYS a big hit. I’d buy my Boston some chews and maybe a few sweaters for the winter. I would use the amazon gift card to buy a pet car seat cover for the seats of my car. I’d get dog food delivered to our apartment every month with the $250 giftcard! I would buy treats for them. My poor puppy could really use a new dog bed. I would buy my dog” Banjo” a new bed and some chew toys! I would buy my dog a new backpack. His is old and worn out and we love to go hiking. I would buy the pups freeze dried treats/food and maybe some toys with lots of squeakers. I would buy a water dispenser for my pets. I would buy the dogs new memory foam beds and some interactive toys. I would buy cases of canned cat food for my 12 elderly rescue cats that don’t have teeth. First I would buy my dog’s special diet dog food then his meds. My dog needs a good quality brush! He has a pretty dense undercoat, and the brush we have now seems kind of ineffective! It’s shedding season! Some grooming products…maybe some for me too! I need a new carrier and I want an Amazon Echo. 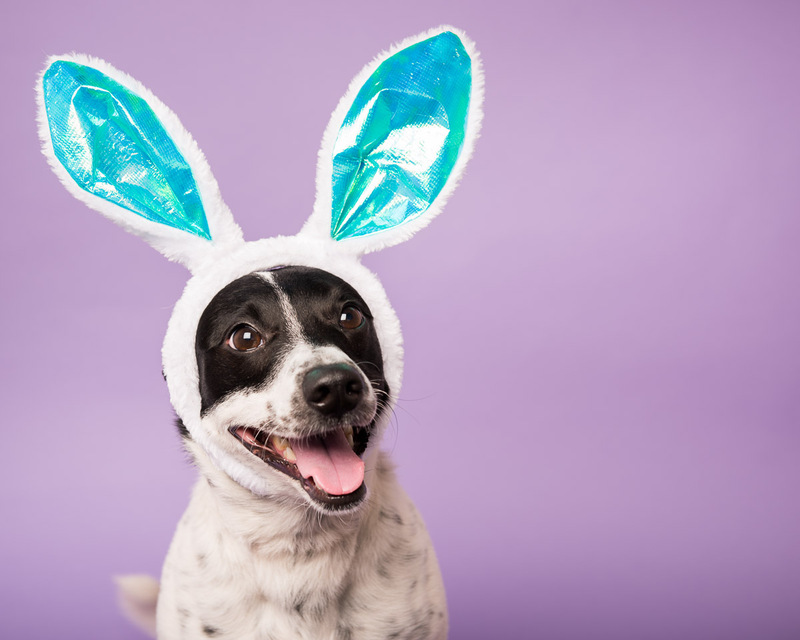 I would buy a new scratching post for my cat Libby, a new kennel mattress for my dog Tillie, and some high quality pet treats for both of them – they have food sensitivities and I can’t afford to buy them treats very often. I would buy new toys for my dog. I typically get their flea protection from Amazon. Much cheaper than the pet store! I would get her a new leash, harness, tie out and crate. Yes! Winners have been emailed. Thank you for participating!